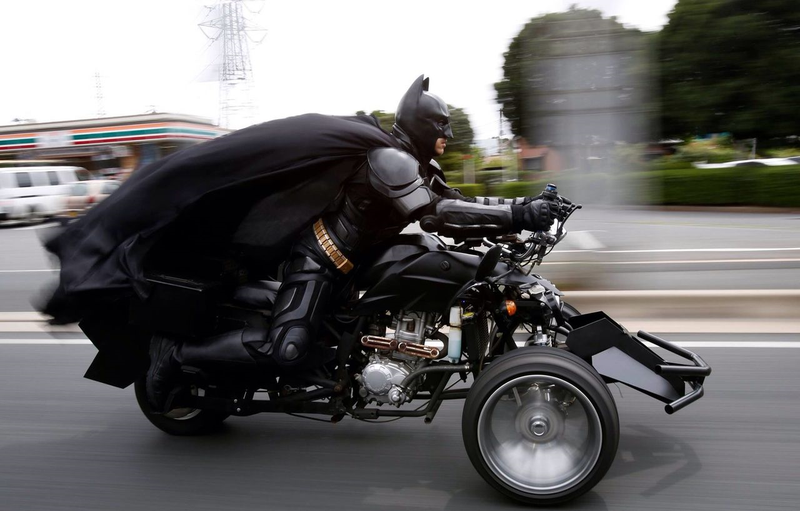 A few weeks ago, Japanese media blew up with twitter images of a man, completely clad in a Batman costume, riding a kitted out trike on the streets of Chiba. It turns out the city has a new popular hero, one that even the local police force are fans of: Chibatman. Realizing that if there's ever a time to pass on a cosplay opportunity, it's when you've been summoned to the police station, the man showed up in the regular clothes he wears to his non-crime-fighting day job, but it seems his reputation had proceeded him. As soon as he checked in at the front desk, the receptionist replied, "Oh, you're Batman, aren't you?" and when he was called in for his interview, he was beckoned with, "Right this way, Batman." "I was led into what, based on how it looked, you could only describe as an interrogation room," Chibatman recalls. "Waiting there was a detective in a suit and a representative from the Land Transport Bureau." Unlike our more familiar Batman's tenuous friendship with the Gotham PD however, Chibatman got along much better - after clarifying that his customised trike was compliant with regulations, and that his cape was safely attached when he was driving, they sent him on his way, encouraging him to keep showing up as Chiba's Dark Knight. My favourite bit? When Chibatman's got his gruff Bale-esque Batman voice going on, THE TRANSLATOR TOTALLY DOES ONE TOO. That's great.